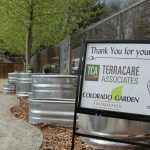 Terracare Associates-TCA is leading and involved in many community volunteer projects throughout the year. 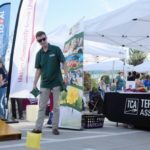 Annually in April, TCA hosts company-wide service days in conjunction with the National Association of Landscape Professionals’ (formerly PLANET) Day of Service and Earth Day. 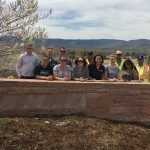 Our company community goal is focused on green education, outdoor beautification projects and a variety of events and sponsorships that directly support local companies, municipalities and counties and that we service. Our volunteer projects have benefited many communities across the states we operate in. Most recently, team members volunteered time, expertise and equipment to design, build and maintain edible teaching gardens at local schools. This includes five middle school gardens in the San Francisco Bay Area. In addition to the gardens, children and teachers are shown the value and importance of plants as a nutritional food supply for their families and the future of our Earth.